NOTES TO READERS: Colored and/or underlined words are HTML links. Click on them to see the linked posts/articles. Forwarding this and other posts to relatives and friends, especially those in the homeland, is greatly appreciated. To share, use all social media tools: email, blog, Google+, Tumblr,Twitter,Facebook, etc. THANKS!! NOTE: In 1898, President William McKinley declared the U.S. mission in the Philippines one of "benevolent assimilation." But within weeks of McKinley's remarks, American troops embarked on a bloody campaign to stamp out an indigenous independence movement that would ultimately cost somewhere between 200,000 and 500,000 Filipino lives. Mark Twain called The Philippine-American War (The First Vietnam) (which the U.S. called the "Philippine Insurrection") "a mess, a quagmire from which each fresh step renders the difficulty of extrication immensely greater." William McKinley's idea of doing the very best by the Filipinos was to employ the United States Army to kill them in the tens of thousands, burn down their villages, subject them to torture, and lay the foundation for an economic exploitation which was proudly referred to at the time as imperialism by leading American statesmen and newspapers. After the Spanish had been driven out of the Philippines in 1898 by a combined action of the United States and the Filipinos, Spain agreed to "cede" (that is, sell) the islands to the United States for $20 million. 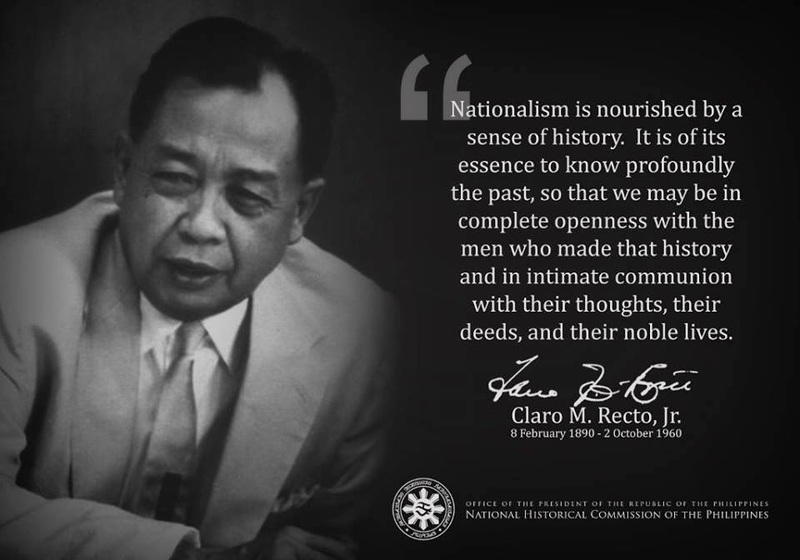 But the Filipinos, who had already proclaimed their own independent republic, did not take kindly to being treated like a plot of uninhabited real estate. Accordingly, an American force numbering at least 50,000 proceeded to instill in the population a proper appreciation of their status. Thus did America's longest-lasting and most conspicuous colony ever come into being. Nearly half a century later, the US Army again landed in the Philippines to find a nationalist movement fighting against a common enemy, this time the Japanese. While combating the Japanese during 1945, the American military took many measures aimed at quashing this resistance army, the Huks (a shortening of Hukbalahap-"People's Army Against Japan" in Tagalog). American forces disarmed many Huk units, removed the local governments which the Huks had established, and arrested and imprisoned many of their high-ranking members as well as leaders of the Philippine Communist Party. The Huk guerrilla forces had been organized in 1942, largely at the initiative of the Communist Party, in response to the Japanese occupation of the islands. Amongst American policy makers, there were those who came to the routine conclusion that the Huks were thus no more than a tool of the International Communist Conspiracy, to be opposed as all such groups were to be opposed. Others in Washington and Manila, whose reflexes were less knee-jerk, but mote cynical, recognized that the Huk movement, if its growing influence was not checked, would lead to sweeping reforms of Philippine society. A study prepared years later for the US Army echoed this sentiment, stating that the Huks' "main impetus was peasant grievances, not Leninist designs".5 Nevertheless, the Huk movement was unmistakably a threat to the neo-colonial condition of the Philippines, the American sphere of influence, and those Philippine interests which benefited from the status quo. By the end of 1945, four months after the close of World War II, the United States was training and equipping a force of 50,000 Filipino soldiers for the Cold War.6 In testimony before a congressional committee, Major General William Arnold of the US Army candidly stated that this program was "essential for the maintenance of internal order, not for external difficulties at all".7 None of the congressmen present publicly expressed any reservation about the international propriety of such a foreign policy. The American military was meanwhile assuring a home for itself in the Philippines. A 1947 agreement provided sites for 23 US military bases in the country. The agreement was to last for 99 years. It stipulated that American servicemen who committed crimes outside the bases while on duty could be tried only by American military tribunals inside the bases. By early 1950, the United States had provided the Philippines with over $200 million of military equipment and supplies, a remarkable sum for that time, and was in addition to the construction of various military facilities.15 The Joint US Military Advisory Group (JUS-MAG) reorganized the Philippine intelligence capability and defense department, put its chosen man, Ramon Magsaysay, at its head, and formed the Philippine army into battalion combat teams trained for counter-insurgency warfare.16 The Philippines was to be a laboratory experiment for this unconventional type of combat. The methods and the terminology, such as "search-and-destroy" and "pacification", were later to become infamous in Vietnam. By September, when Col. Edward Landsdale arrived in the Philippines, the civil war had all the markings of a long, drawn-out affair, with victory not in sight for either side. Ostensibly, Lansdale was just another American military adviser attached to JUSMAG, but in actuality he was the head of CIA clandestine and paramilitary operations in the country. His apparent success in the Philippines was to make him a recognized authority in counter-insurgency. As a former advertising man, Lansdale was no stranger to the use of market research, motivation techniques, media, and deception. In CIA parlance, such arts fall under the heading of "psychological warfare". To this end, Lansdale fashioned a unit called the Civil Affairs Office. Its activities were based on the premise—one both new and suspect to most American military officers—that a popular guerrilla army cannot be defeated by force alone. Another Lansdale-initiated "psywar" operation played on the superstitious dread in the Philippine countryside of the asuang, a mythical vampire. A psywar squad entered a town and planted rumors that an asuang lived in the neighboring hill where the Huks were based, a location from which government forces were anxious to have them out. In the Philippines, lumbering interests and major sugar interests have forced tens of thousands of simple, backward villagers to leave areas where they have lived for centuries. When these poor people flee to other areas, it should be quite obvious that they in turn then infringe upon the territorial rights of other villagers or landowners. This creates violent rioting or at least sporadic outbreaks of banditry, that last lowly recourse of dying and terrorized people. The most insidious part of the CIA operation in the Philippines was the fundamental manipulation of the nation's political life, featuring stage-managed elections and disinformation campaigns. The high-point of this effort was the election to the presidency, in 1953, of Ramon Magsaysay, the cooperative former defense department head. Fortress America, however, was securely in place in southeast Asia. From the Philippines would be launched American air and sea actions against Korea and China, Vietnam and Indonesia. The Philippine government would send combat forces to fight alongside the United States in Vietnam and Korea. On the islands' bases, the technology and art of counter-insurgency warfare would be imparted to the troops of America's other allies in the Pacific. 1. Charles S. Olcott, The Life of William McKinley (Boston, 1916) vol. 2, pp. 110-11; from a talk given to a visiting group from the Methodist Episcopal Church. a) D.M. Condit, Bert H, Cooper, Jr., et al., Challenge and Response in Internal Conflict, Volume 1, The Experience in Asia (Center for Research in Social Systems, The American University, Washington, D.C., 1968), p. 481, research performed for the Department of the Army. b) Luis Taruc, Born of the People (New York, 1953, although completed in June 1949) pp. 147-62, 186-211, the autobiography of the Huks' commander-in-chief who surrendered to the government in 1954.
d) George E. Taylor, The Philippines and the United States: Problems of Partnership (New York, 1964) p. 122 (see note 1.! below). f) Philippines: A Country Study (Foreign Area Studies, The American University, Washington, D.C., 1983-84) p. 43, prepared for the Department of the Army. 3. Taruc, chapter 22; Pomeroy, pp, 77-8; Taylor, pp. 116-20. 7. Hearings before the House Committee on Foreign Affairs in executive session, 7 June 1946, released in 1977, p. 31. Arnold was the Deputy Assistant Chief of Staff, Operations Division, War Department General Staff. 8. American servicemen's protests: New York Times, 8 January 1946, p. 3; 11 January, p. 4; for more information see Mary-Alice Waters, G.I. 's and the Fight Against War (New York, 1967), pamphlet published by Young Socialist magazine. 9. New York Times, 20 May 1946, p. 8; 2 June, p. 26; 4 June, p. 22 (letter from Tomas Confessor, prominent Filipino political figure, detailing the illegality of not seating the men); 18 September, p. 4; 19 September, p. 18; Pomeroy, p. 20; Taruc, pp. 10. New York Times, 12 March 1947, p. 15; the words are those of the Times; Lachica, p.121. 11. Pomeroy, p. 28, explains how this came about. 12. Taruc, chapters 23 and 24; Pomeroy, p. 78; the Philippine Army reported that 600 deaths had occurred from their incursions into Huk areas in the month following the electron (New York Times, 20 May 1946, p. 8) but no breakdown between military and non-military casualties was given in the press account; see also Lachica, p.121. the puerile and semi-hysterical when discussing the Huks or 'communism'. 14. Department of State, Treaties and Other International Agreements of the United States of America, 1776-1949 (Washington, 1974) pp. 84-9; Pomeroy, pp. 21-3; Taylor, p. 129. 15. New York Times, 1 July 1946, $50 million furnished; 11 February 1950, p. 6, $163.5 million furnished under the 1947 agreement. 16. Edward G. Lansdale, In the Midst of Wars (New York, 1972) passim; Stephen Shalom, "Counter-insurgency in the Philippines" in Daniel Schirmer and Stephen Shalom, eds., The Philippine Reader (Boston, 1987) pp. 112-3. 17. William Worden, 'Robin Hood of the Islands', Saturday Evening Post, 12 January 1952, p. 76. 19. Joseph Burkholder Smith, Portrait of a Cold Warrior [New York, 1976) p. 95 (see note 30 for Smith's back-ground). 22. Ibid., pp. 70-1, 81-3, 92-3; Smith, p. 106; Taruc, pp. 68-9; for further description of this propaganda campaign, see Shalom, pp. 115-6. 23. Col. L. Fletcher Prouty, US Air Force, Ret., The Secret Team: The CIA and its Allies in Control of the World (Ballantine Books, New York, 1974, paperback) pp. 25. Smith, p, 95, quoting CIA officer Paul Lineberger. Philippines, concerned with political and psychological-warfare matters. 32. Buell interview of Lovett (see note 27), cited in Bonnet, p. 42. 33. Reader's Digest, April 1963, article entitled "Democracy Triumphs in the Philippines". 35. House Bill No. 6584, Republic Act No. 1700, approved 20 June 1957. 36. Huks' condition: New York Times, 3 April 1949, p. 20; 30 June 1950, p. 4. U.S. Brig. Gen. Jacob H. Smith: "I want no prisoners. I wish you to kill and burn, the more you kill and burn the better you will please me. I want all persons killed who are capable of bearing arms in actual hostilities against the United States." Major Littleton W. T. Waller: How young? Smith: Ten years and up. --Exchange on October 1901, quote from the testimony at Smith's court martial by the New York Evening Journal (May 5, 1902). General Smith, a veteran of the Wounded Knee Massacre, was popularly known as "Hell Roaring Jake" or "Howling Wilderness". Such valuable chest of information! Let it float alive ever. church financing agent is really very helpful while getting church loans. I found Griffin Church Loans' policy the best and reliable.